For nearly a century, the American Chambers of Commerce (AmChams) have been the most influential voice of U.S. business in Latin America and the Caribbean. 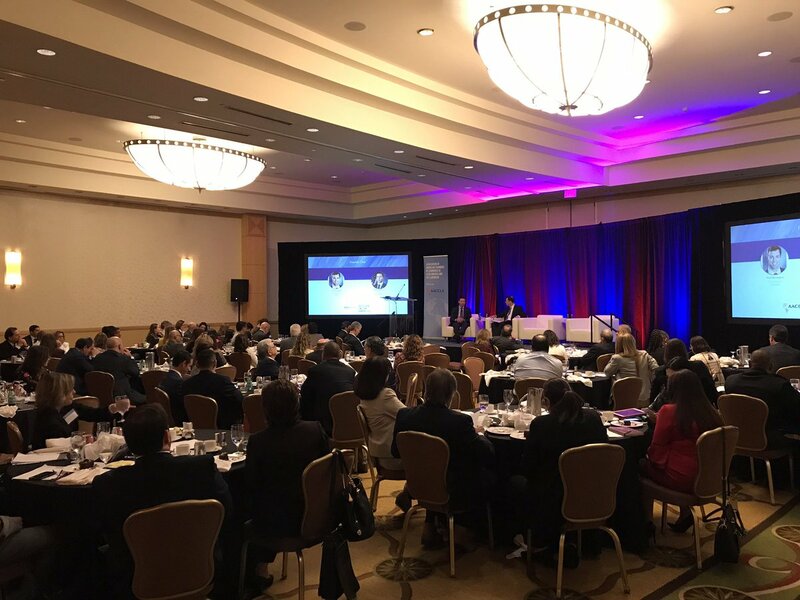 Today, joined together in the Association of American Chambers of Commerce in Latin America and the Caribbean, these 23 AmChams represent more than 20,000 companies and over 80% of U.S. investment in the region. ‘CBP Commissioner Talks Priorities at “Outlook on the Americas” Event,’ February 2019. AmCham Mexico Press Release: Meeting with Mexico’s Ambassador to the United States, Martha Elena Federica Bárcena Coqui, January 2019. AACCLA’s 51st Forecast on Latin America and the Caribbean Conference Webcast. ‘EE.UU. no va a dejar de ser un mercado abierto,’ Portafolio, August 2018. AmCham Guyana launched to promote U.S.-Guyana trade, Newsroom Guyana, August 2018. 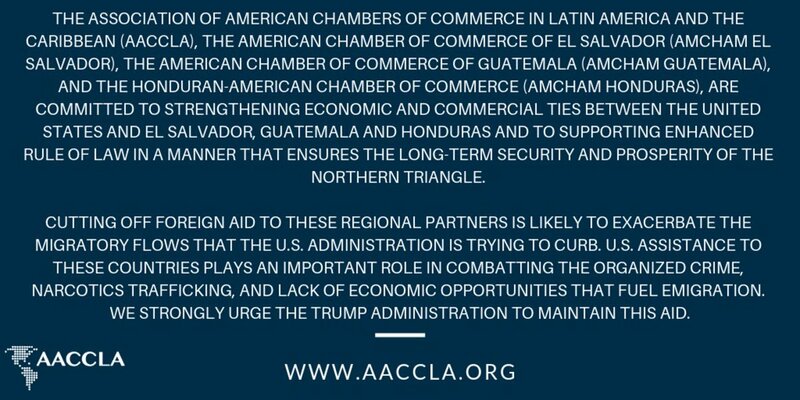 AACCLA Statement on Nicaragua, July 2018. Una Agenda Común para la Argentina y los EE.UU., by Alejandro Díaz, Chief Executive Officer of the American Chamber of Commerce in Argentina, Clarín, May 2018. PriceSmart Announces Acquisition of Aeropost, Inc., Cision PR Newswire, March 2018. Latin American officials eye how NAFTA could impact trade agreements with the U.S., Inside U.S. Trade, February 2018.